Longtime readers of this blog know that I don't play the partisan game. And I haven't bought into the "conservative/liberal" mentality for a very long time. Regardless of affiliation, we should expect all of our elected officials to put the Constitution and liberty of the American people ahead of their political agendas. of the problem in D.C.
That being said, North Carolina's Senator Richard Burr is now shown be a bitter disappointment. Burr is choosing capitulation over leadership, and what is easy over what is right. Blocking a government funding bill over ObamaCare is "the dumbest idea I've ever heard," Sen. Richard Burr (R-N.C.) said Thursday. Burr argued stopping ObamaCare's funding is not going to be achievable as long as President Obama is in the White House, and that Republicans risked taking the blame if they forced the government to shut down over the issue. "I think it's the dumbest idea I've ever heard," Burr told journalist Todd Zwilich on Thursday. "Listen, as long as Barack Obama is president the Affordable Care Act is gonna be law. "I think some of these guys need to understand that you shut down the federal government, you better have a specific reason to do it that's achievable," Burr continued. "Defunding the Affordable Care Act is not achievable through shutting down the federal government." 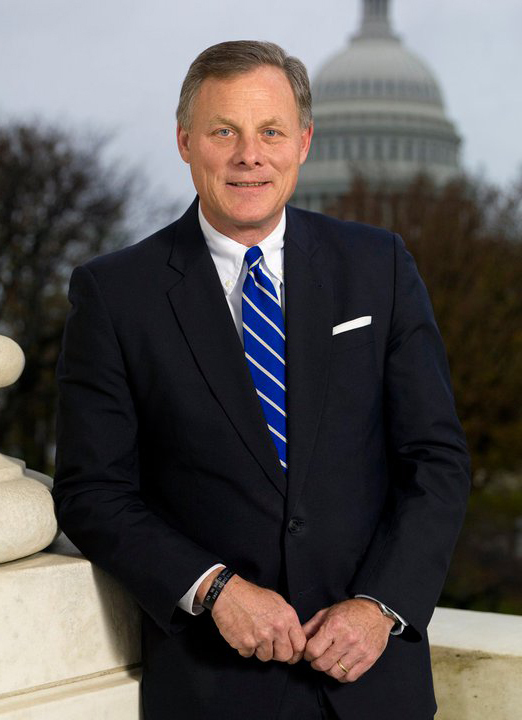 Senator Burr, there are far more important things being threatened by ObamaCare than the federal government. Implementation of the Affordable Care Act is going to cause a lot of private businesses - both large and small - to close up shop because they can't meet the requirements of this legislation. You are also forgetting that ObamaCare is already compelling many companies and other organizations to choose between compromising their beliefs or paying exorbitant and unconscionable penalties to the government. It would be better to have a shutdown of the federal government than to witness a shutdown of hundreds, even thousands of businesses which employ honest and hard-working Americans. Employment is scarce already. It will only plummet further if ObamaCare goes into full effect. The Affordable Care Act should be fought, and fought, and fought again without yielding. And a person who has sworn to uphold and defend the Constitution will fight ObamaCare, no matter the political cost or what the United States Supreme Court has ruled about it. It wasn't the first time that the Supreme Court has erred terribly, and it won't be the last. The ramifications of ObamaCare will haunt America for generations to come if it is not halted now. A person of foresight and wisdom will do whatever he or she can to keep that from happening. Surrendering to an evil thing... and ObamaCare is an evil thing... is not an act of leadership or wisdom. It is, however, an act of cowardice. Senator Burr is practically confessing that his loyalty is not to the citizens of North Carolina and all Americans, but to the federal government. By his statements, Burr demonstrates that he gives a higher priority to the status quo of Washington politics than he does to the liberties, the opportunities and the posterity of we the people. Burr is not an example of true leadership. A true leader does what is right, regardless of popularity or politics. A true leader is a person of conscience, not of convenience or "conventional wisdom". And Burr is a very poor example of what Republicans profess to stand for. If the GOP is the alleged party of smaller government, it cannot reconcile that claim with capitulating to the largest takeover of a private industry in American history. One that will impede on our freedoms, will drive many into bankruptcy and will diminish the quality of health care in this country. Between this and all the other kowtowing going on in Washington, it's little wonder that an increasing number of Americans see no significant difference between the Democrats and Republicans. For all intents and purposes it is one-party rule pretending to be two. And rolling over on ObamaCare - among many other concerns - is proving it. If it comes down to choosing either the strength of the federal government or the freedom of the American people, I'll choose the American people every time. So should the members of Congress, and each of their personal political consequence be damned. Time to put the chairs on the tables and turn out the lights on America. I'll do my part to get Burr defeated in the primary but it's still a lost cause. They just don't care about what we have to say Chris. Chris, I'd vote for you for senator. I'm in Boone and loved your school board ad. I doubt I'll run for office again. People want a perfect candidate and I'm not it. Heck it's now public knowledge that I have a mental illness. That's one trait right there that would take the wheels off my campaign train before it even left the station. But the real reason why I don't want to run for office again, and I have thought about doing it before but have since decided not to, is because: I no longer believe that politics is something we should look to for solutions. You don't have to be a politician to change the world, to try to make it a little better. I do not believe that there is such a thing as a powerless individual. Even if it is just saying "no" when everyone around you tells you "yes", that is enough for God to use, if you let Him. There is more I could say about it, but... it's a Saturday, and I don't want to get anyone depressed during the weekend. Burr tried to tax the Internet too.